Whether you’re an e-tailer or a supplier, you know how beneficial drop shipping can be for your business. Businesses have no inventory to deal with, no overhead to worry about, no pre-sale costs for goods and thus, no risk. Suppliers are able to increase business and profits. But nothing in life is without its flaws. There are also some cons when it comes to drop shipping. This includes less competitive pricing and lack of control over product selection and inventory. If something is out of stock, it’s out of stock. However, the biggest problem for businesses engaging in drop shipping has to be the manual oversight of the entire process. While drop shipping a small number of products and orders is doable, it becomes increasingly difficult and eventually impossible to do manually if you are dealing with thousands of products and hundreds of orders. Let’s say you get fifteen orders a day and only deal with twenty products. You have to manually add those products to your website, consistently update the quantities based on your supplier’s numbers, add products as new ones come in, and once you start receiving orders, you must send them to the supplier for processing and fulfillment. Once the supplier processes the order, they’ll send you back the tracking number, which you must provide to your customer from your own ecommerce store to alert them that their order has been shipped. 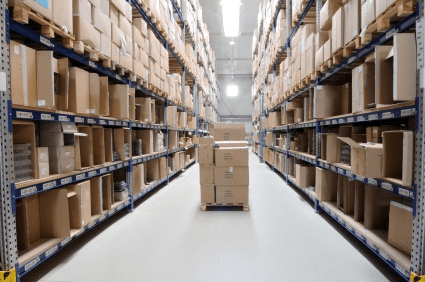 So what do you do when you’re drop shipping a hundred thousand SKUs, which are being updated every single day as you take on hundreds of orders per day? It’s impossible to achieve manually, yet there are very many businesses struggling to do just that. 1) We build integration between your supplier and your ecommerce store that updates product quantity and price as well as adds new products to your ecommerce store on the fly via API. This way you do not have to manually enter items or edit quantities and you will know when an item is out of stock. 2) During this integration, the images of products provided by the supplier data feed must be automatically resized and uploaded to your ecommerce site as well. 4) This ensures that you as the seller have nothing to do with processing orders. 5) Once the supplier processes orders and ships the items to your buyers “in your name” (drop shipping), the supplier then outputs a file that contains the tracking numbers. 6) The web service code that we define grabs those tracking numbers and updates your ecommerce site, which then sends a “Shipped” notification to your customers. 7) All this is done via a web service that we build which can communicate with multiple systems and platforms. In order to become more efficient, increase your profits, and ultimately ensure the future success of your e-tail business, you must automate your drop shipping process. The less time you spend processing orders, the more time you’ll have to devote to marketing and lead generation. You could let your supplier handle everything and your business would practically run itself! Remember that it’s very doable. Supplies and Manufacturers, Read On! If, as a supplier or manufacturer, you think you can thrive in the future of ecommerce without utilizing an automated drop shipping system that you can offer to your resellers, you’re crazy! Imagine hundreds of resellers not only promoting but actually selling your products. It’s not hard to see how much value you would be providing to your resellers with such a system. With no overhead and no inventory or order fulfillment to worry about, you can become a prime choice for resellers the world over. The sooner your understand how automated integration of this kind will affect the future of ecommerce strategy, the greater your sales and the greater the short and long term health of your business. Contact Us and let us show you how you can automate your shipping and product update issues. If you’re interested in learning more about automated drop shipping or would like to discuss integration, contact Optimum7 today!